Eliminating Conflict Material | Nihon Superior Co., Ltd.
Nihon Superior has confirmation from its suppliers that the raw materials from which their solder alloy products are manufactured do not include any tin or any other conflict mineral that has its origin in the conflict area of Democratic Republic of the Congo or an adjoining country. 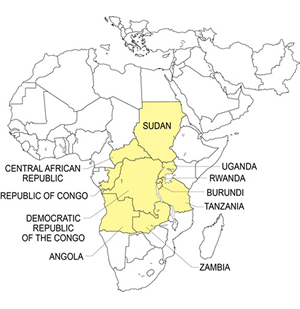 When considering the procurement of new raw materials Nihon Superior requires that the supplier provide evidence that they do not include any conflict materials sourced from the conflict area of Democratic Republic of the Congo or an adjoining country. Nihon Superior Co., Ltd. Operations Dept. Nihon Superior is committed to satisfying customers’ needs not only for products that are safe and reliable but for the assurance that continuous future supply has been secured by responsible procurement of raw materials. Section 1502(*1) of the Dodd-Frank Wall Street Reform and Consumer Protection Act, which was signed into law in the United States on July 21, 2010, obliges companies with securities registered in the US to report to the US Securities and Exchange Commission (SEC) their use of products containing conflict materials from the Democratic Republic of the Congo and adjoining countries. We confirm now that we have taken measures to ensure that the solders that we manufacture do not include any materials sourced from conflict area of the Democratic Republic of the Congo and adjoining countries. For Nihon Superior the efforts in regard to the elimination of conflict materials(*2) from their products are part of the company’s total commitment to customer satisfaction in all aspect of their use of solders. When the Dodd-Frank Act was enacted, the detailed rules of section 1502 had not been determined. However, the US securities and Exchange Commission (SEC) has adopted a final rule in August 22,　2012. “Conflict materials(metals)” are defined in the Dodd-Frank Act as those derived from minerals produced in the Democratic Republic of Congo (the DRC) and countries adjoining the DRC Tantalum, tin, gold and tungsten. Contact details for inquiries : Nihon Superior Co., Ltd. Operations Dept.